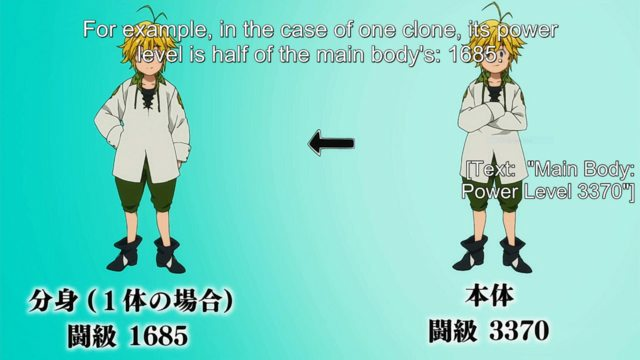 In Nanatsu no Taizai season 2 episode 2, it's explained if Meliodas makes clones, his original power level is divided by the number of clones he makes. For 1 clone, the power level is 1685, which seems correct. 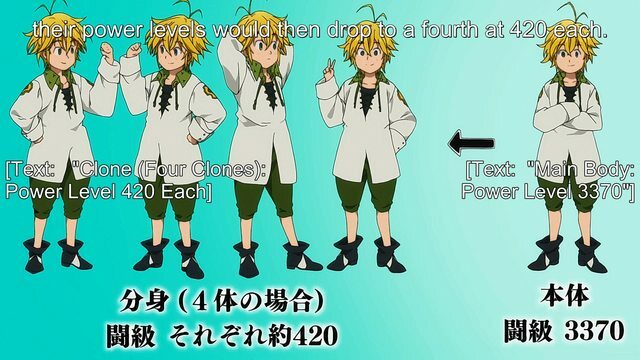 However, if he makes 4 clones, their power level will be 420 each. Mathematically, 3370 divided by 4 is 840, and when divided by 8 is 420. But, why is it 420 not 840? Is this a mistake on the anime production? 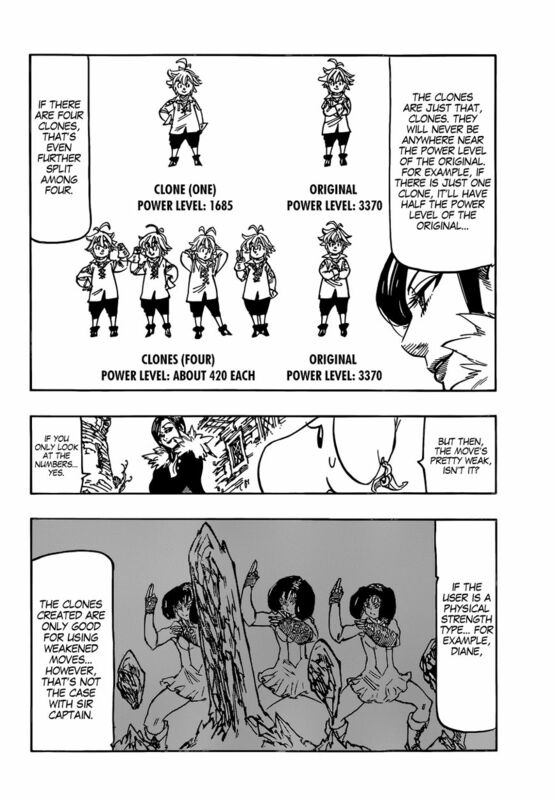 They have a power level of 420 each because, when a clone is made, it has half the power of the original. But if multiple clones are made, then this power that was halved, is split into the multiple clones. Meaning that the clones receive power split up from the original's half and not from the original itself.